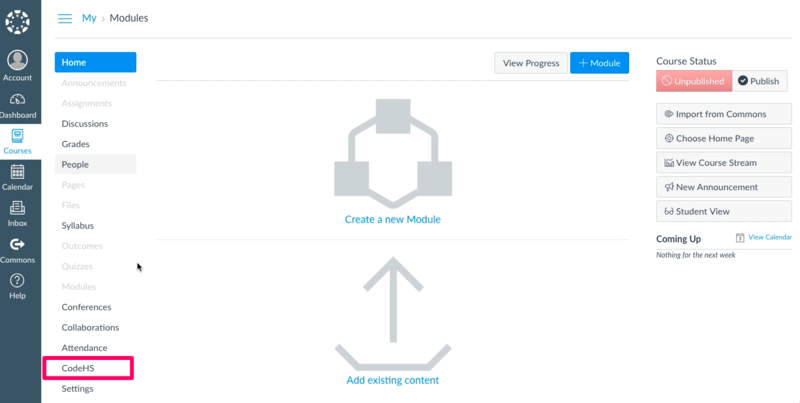 CodeHS integrates with Blackboard and Canvas LMSs! With CodeHS Pro, school districts can seamlessly integrate CodeHS into their Learning Management System (LMS), allowing teachers and students to log into CodeHS directly from their LMS with a Single "Click" Sign-On (SSO) and centralize all their computer science classroom resources. This is a Pro feature and only available for district customers. 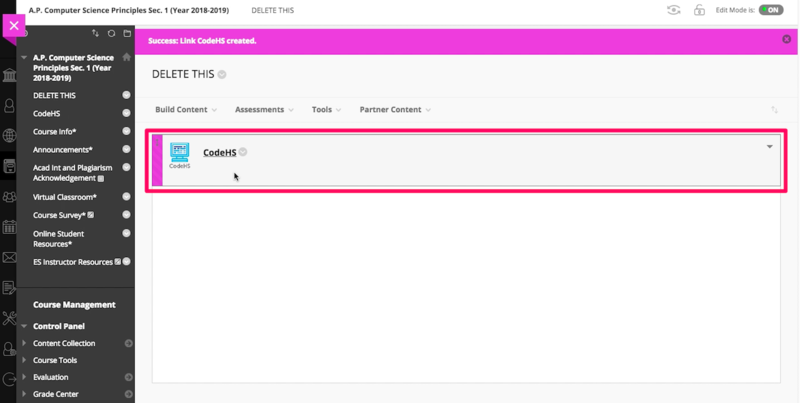 If your school district is interested in learning more about CodeHS LMS integrations, please contact your account manager or email us at hello@codehs.com.